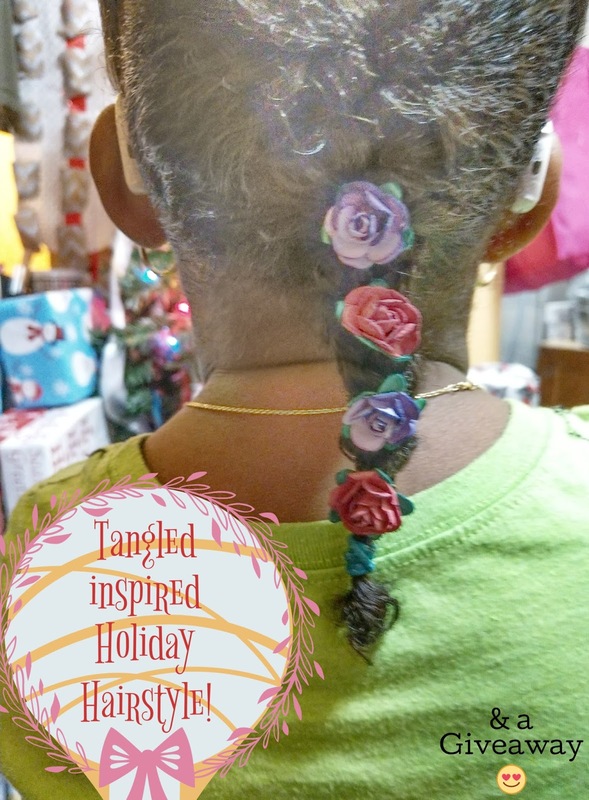 In honor of today's tangled release, I will be sharing with you a super cute tangled inspired hairstyle that your Little beauty can rock for the holidays. Continue along for a chance to be entered to win our Tangled DVD giveaway. 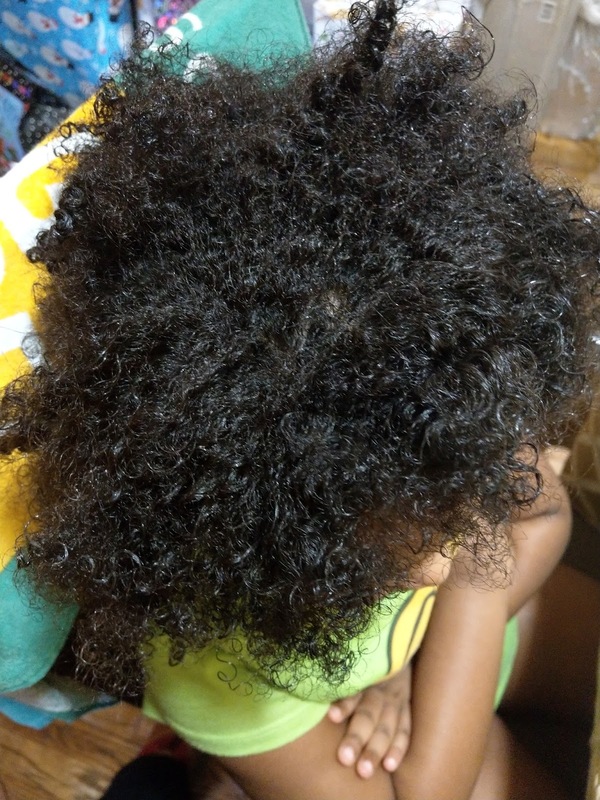 The first thing is to Moisturize your child's hair. 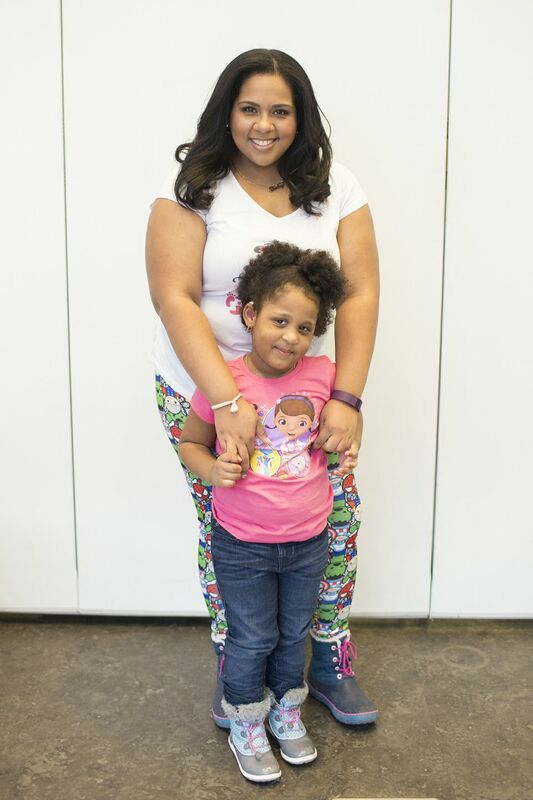 The moisturizing actually helps the hair stay smooth with minimal fray and even shiny to match Rapunzel. Afterwards,You'll be creating a top bun Hair style. You can actually create the top bun in the front like we did or you can do an entire bun. Once you have the top bun done, You can move on to the decorating part. 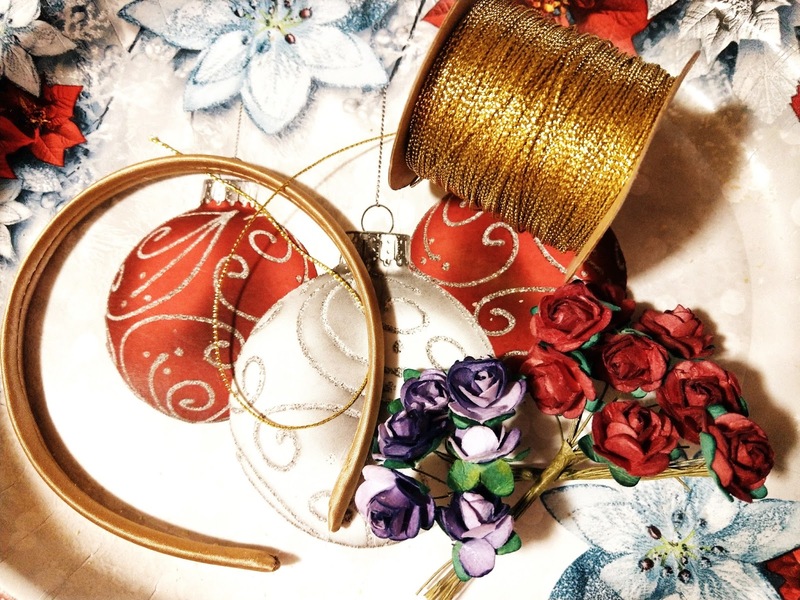 For this part, you can start taking apart the stems of your paper roses but be sure not to cut them off just yet because we will be using those stems to wrap around the tinsel cord or the Hair itself. 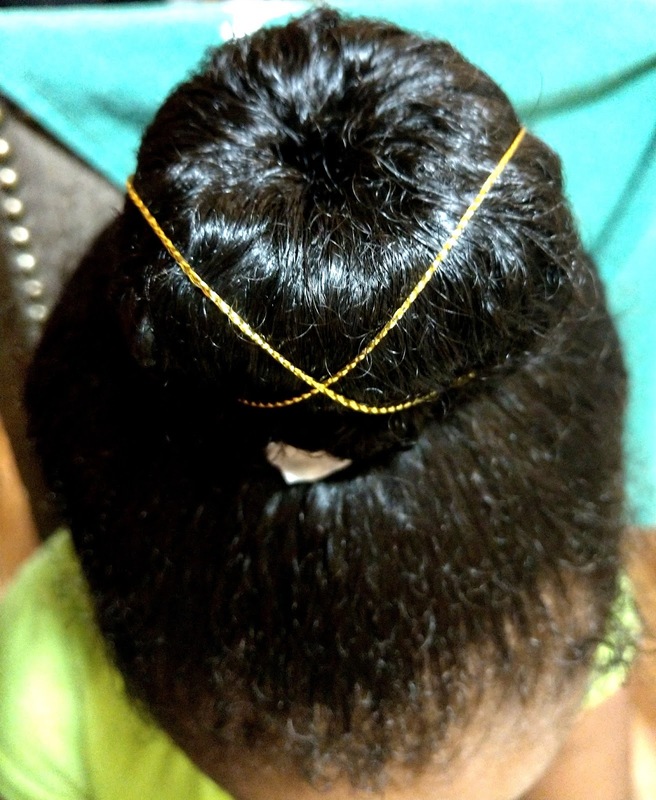 I decided to wrap the tinsel around her bun to represent the gold of Rapunzel's hair. After, I grabbed the roses and pushed them into her hair forming a Barrett like pattern. 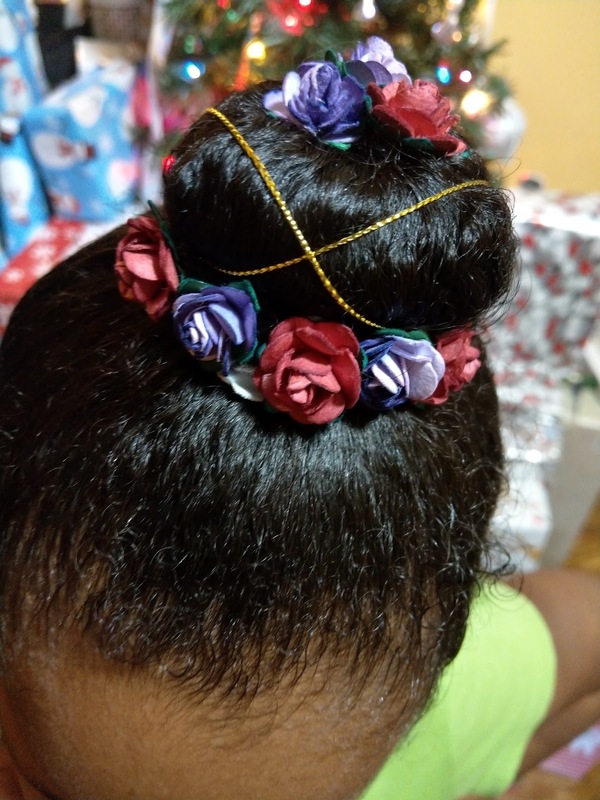 I completed the bun part with 3 paper roses in the center of the bun like a bun topper. 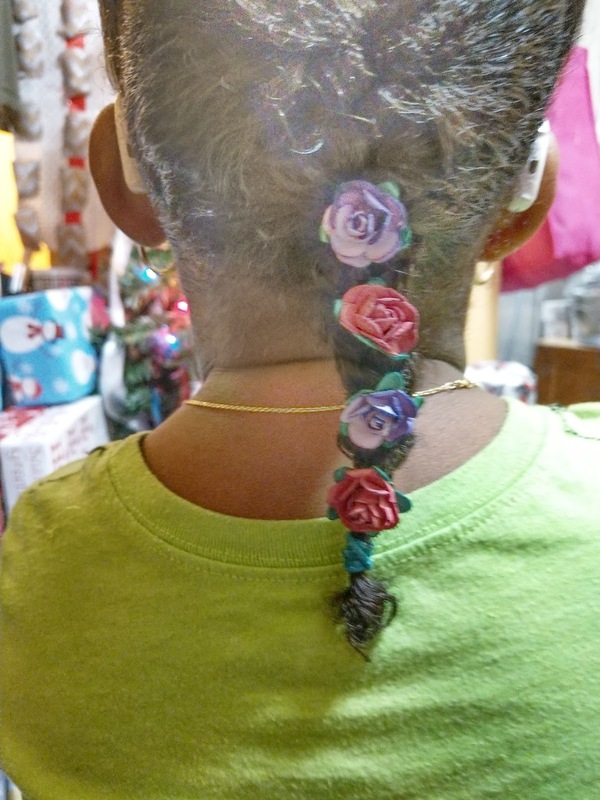 To complete this holiday look, I braided the back of her hair and added flowers in to the braid. I used the stems to secure the flower to the braid. It would be for my daughter's stocking.